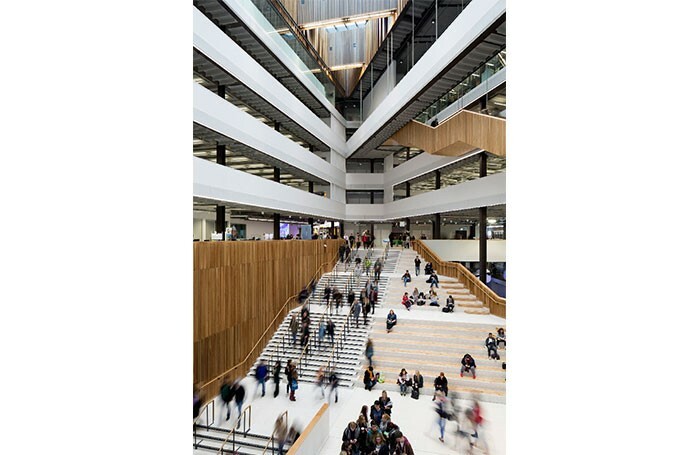 The merger of Glasgow’s central, metropolitan and nautical colleges created a super college bringing together facilities and teaching previously housed in 11 separate buildings across the city within two new central campuses. 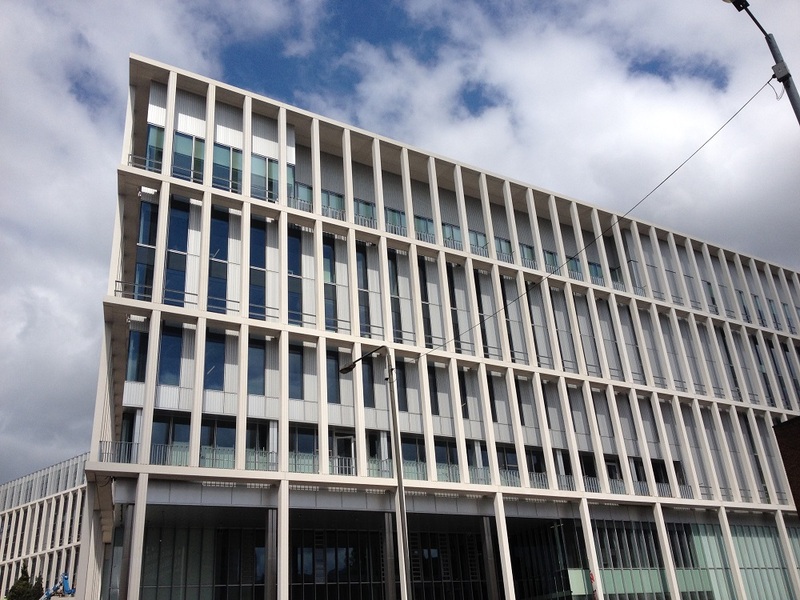 City Campus, more than 60,000m2 in size, is the second of these large new buildings. It brings together six major faculties in 300 high-tech classrooms, multi-purpose lecture theatres and specialist teaching facilities. 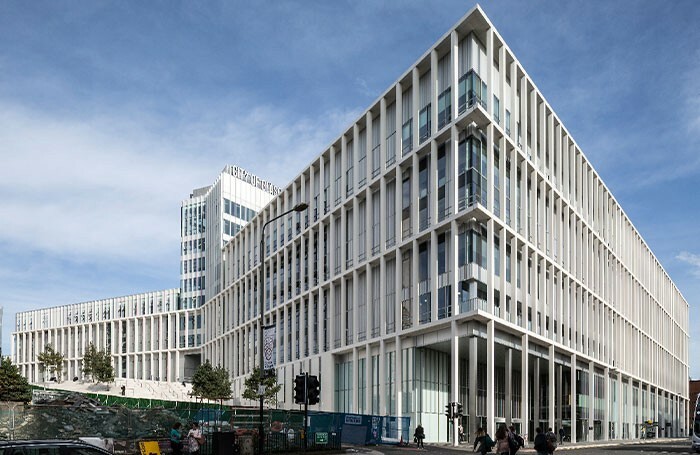 While the initial impression of this building is as something of immense scale which also signals its presence as an important place of learning, its internal spaces are designed to encourage both the formal teaching processes which it contains and informal, more chance encounters. The materials palette and form of the building are deliberately restrained to generate something of skill, clarity and elegance, on the grandest scale. There is an astonishing scale and complexity to the brief for this project and considerable architectural skill is demonstrated in its realisation; not just in resolving the brief, but in the contribution to the city – in massing, composition and the generosity of the public route through the grand stepped atrium space. 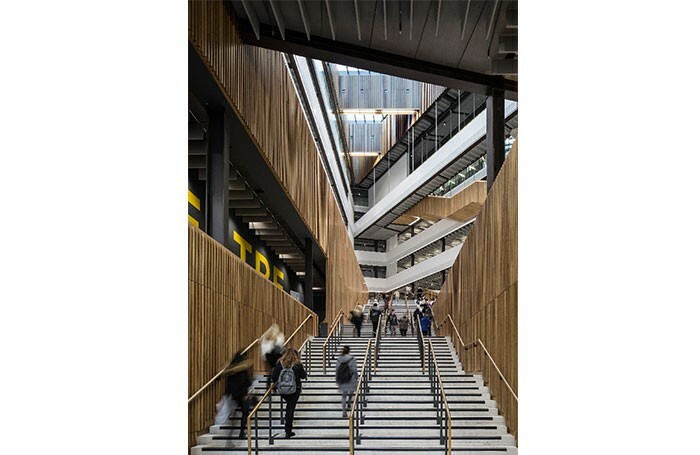 This architectural skill extends beyond the cityscape through to the detailed care taken in the organisation of student spaces, encouraging social interaction across disciplines, to the considered approach to materials and detailing. Shortlisted building for RIAS Awards 2017. 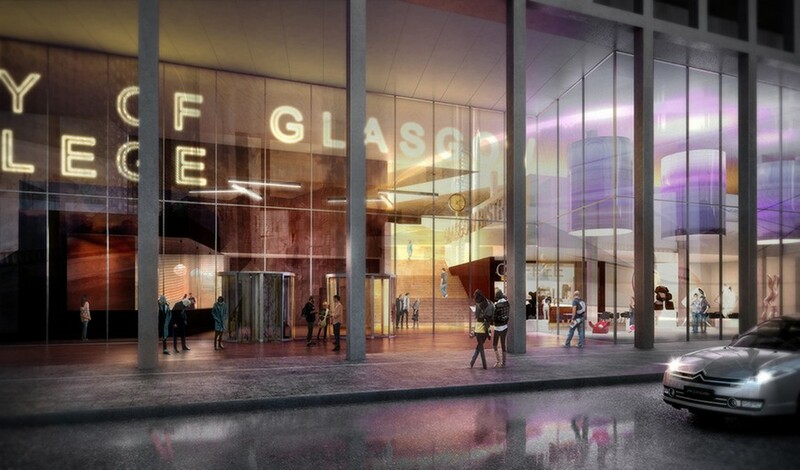 Work is underway on Scotland’s largest college project to build two new campuses in central Glasgow. 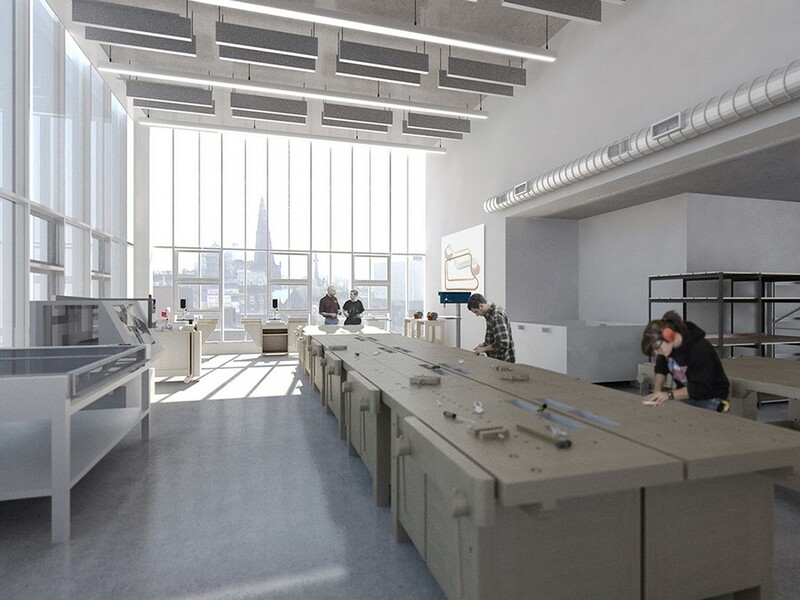 The £228m plan will see Sir Robert McAlpine redevelop City of Glasgow College’s existing sites on Cathedral Street and at Thistle Street. 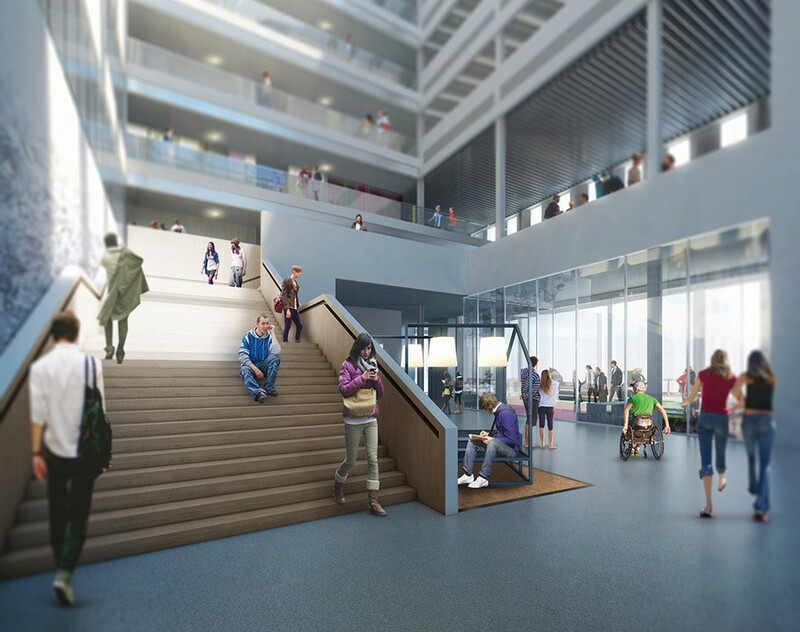 The Glasgow Learning Quarter consortium, which includes McAlpine and Forth Electrical Services, secured the 25-year concession to design, build, finance and maintain the new campus. 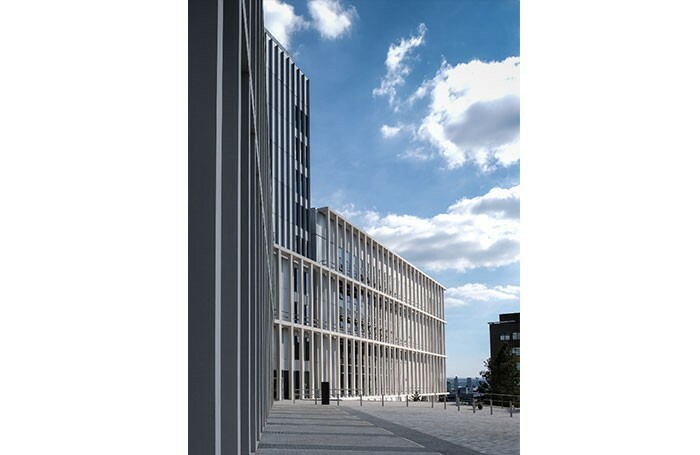 The 700,000 sqft development will comprise two new buildings constructed on college land at Cathedral Street in Glasgow city centre and at Thistle Street on the banks of the River Clyde. The super college was formed in 2010 through the merger of Central, Metropolitan and Nautical Colleges. 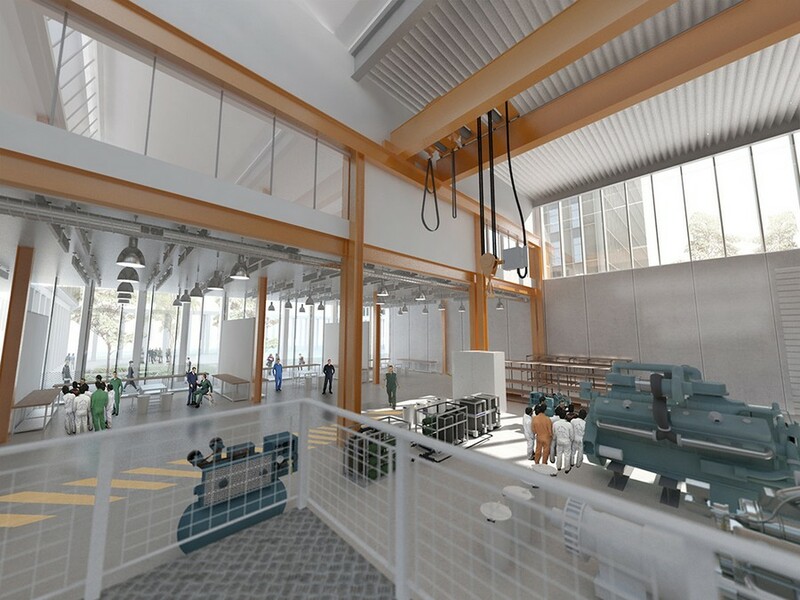 The College has used the Scottish Futures Trust’s Non Profit Distributing financing model, and is expected to create 170 new jobs during construction, a minimum of 40 modern apprenticeships. 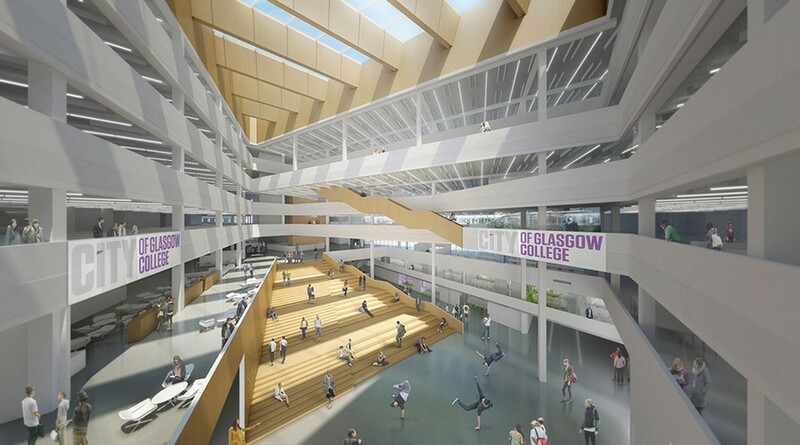 The City of Glasgow Council has given the green light for the City of Glasgow College to move to the next stage of their ambitious, £228m development for two new world leading College campuses – on Cathedral Street in the city centre and at Thistle Street on the banks of the River Clyde. 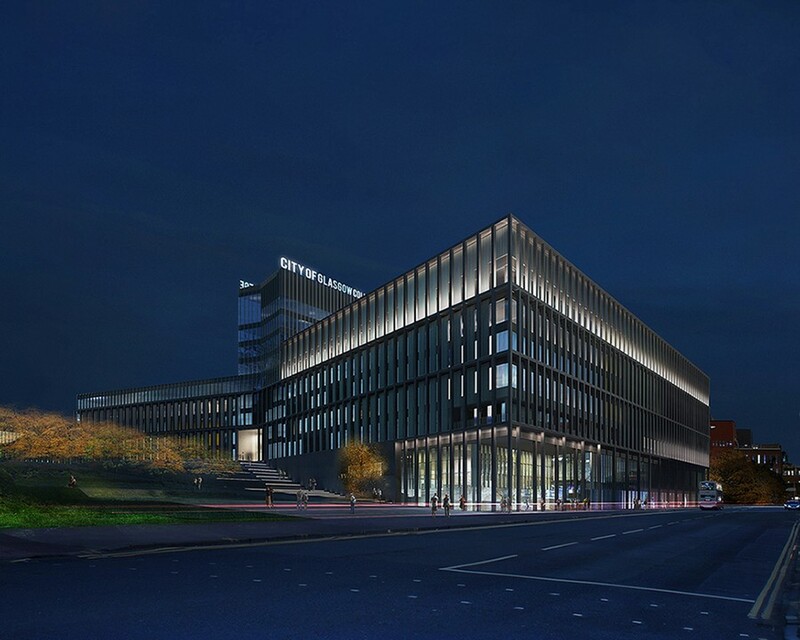 By granting full planning consent, the council has signalled that it’s all systems go for Glasgow to have 21st century, state of the art campuses which have been carefully designed to have student learning at their very core. Together, the campuses represent the single largest estates development in the college sector in Scotland and on completion will be home to more than 40,000 students of more than 130 nationalities and to some 1,200 members of staff offering the broadest range of courses and levels of any college in Scotland. 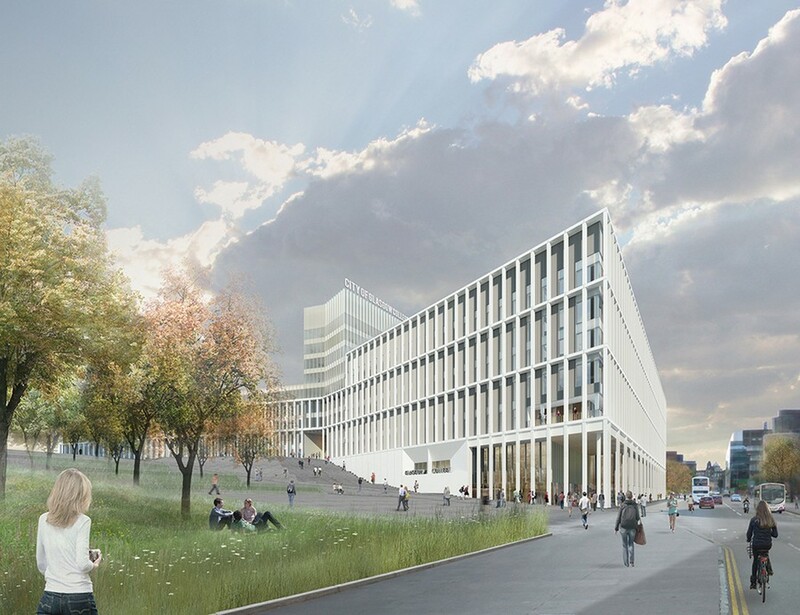 Reiach and Hall Architects and Michael Laird Architects, working together in the Glasgow Learning Quarter consortium, have been selected as the preferred bidder for City of Glasgow College’s new £228m campus development project. 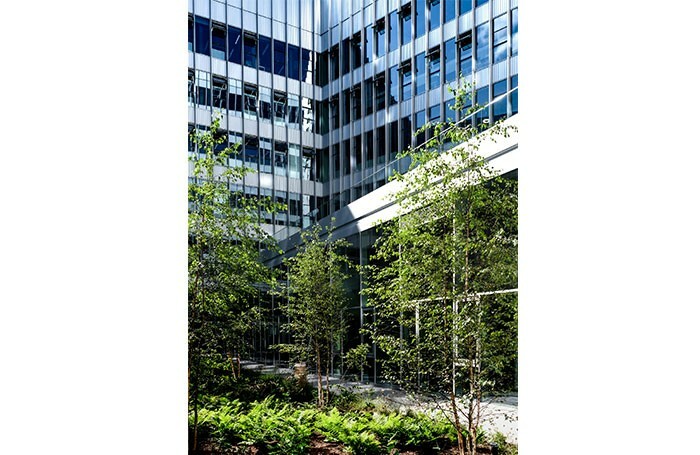 This project has seen design collaboration between Reiach and Hall Architects and Michael Laird Architects since March 2012. 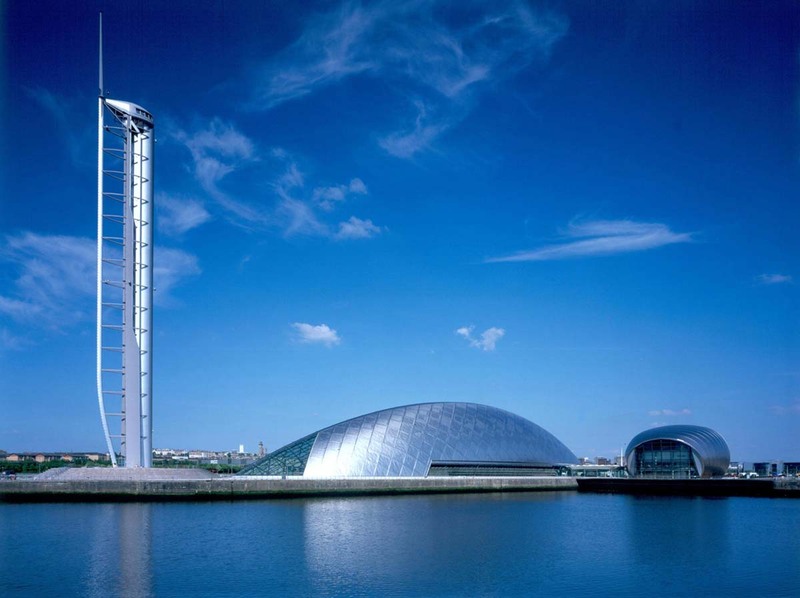 The consortium, led by Sir Robert McAlpine Ltd, includes FES, ARUP Scotland, Hulley and Kirkwood, Rankin Fraser and Graven Images. 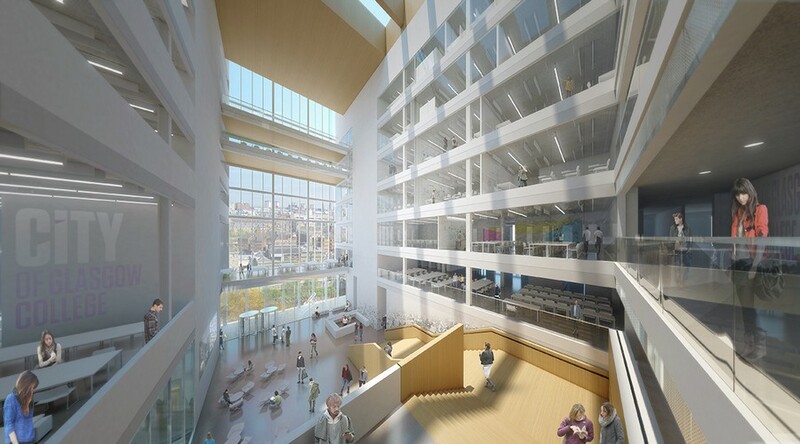 Glasgow Learning Quarter, led by Sir Robert McAlpine Ltd. is one of two consortium teams to be shortlisted by The City of Glasgow College for the institution’s new £200 million campus development project. This project has seen an open collaboration with Reiach and Hall Architects and Michael Laird Architects since March 2012; during the bidding process our teams have united with Sir Robert McAlpine, FES, Arup Scotland and Hulley and Kirkwood; to create a detailed design dialogue which is now set to continue until the preferred bidder is announced in early 2013. 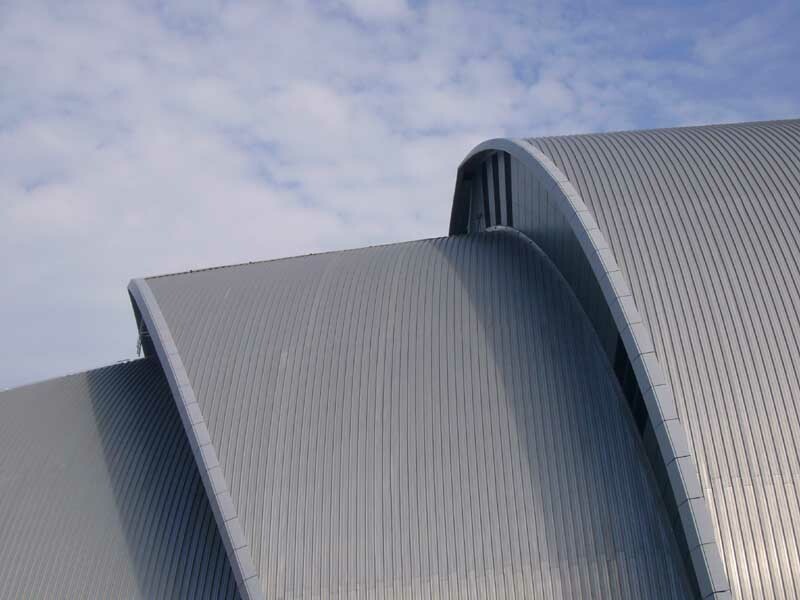 The project is financially supported by the Scottish Funding Council and at £200 million will be one of Scotland’s largest infrastructure projects – the investment will see major demolition and reconstruction on the college’s city centre campus on Cathedral Street and at its Thistle Street Riverside campus on the opposite bank of the River Clyde. 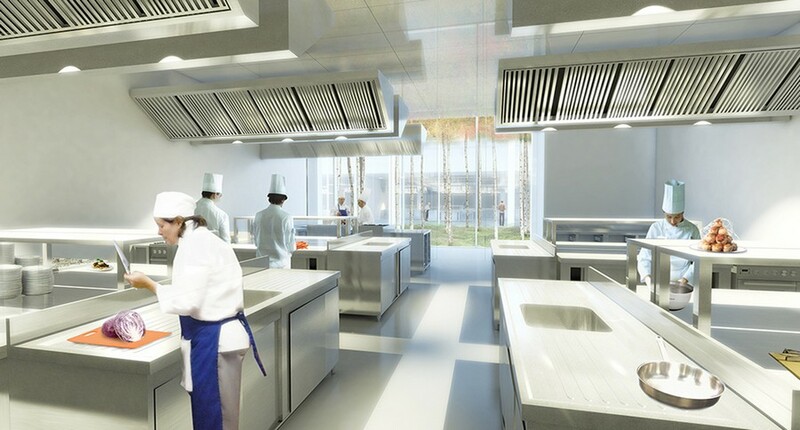 Once planning consent is achieved, construction is expected to start in mid-2013 with the first stages of the new campus opening in 2015 and the final phases in 2016. 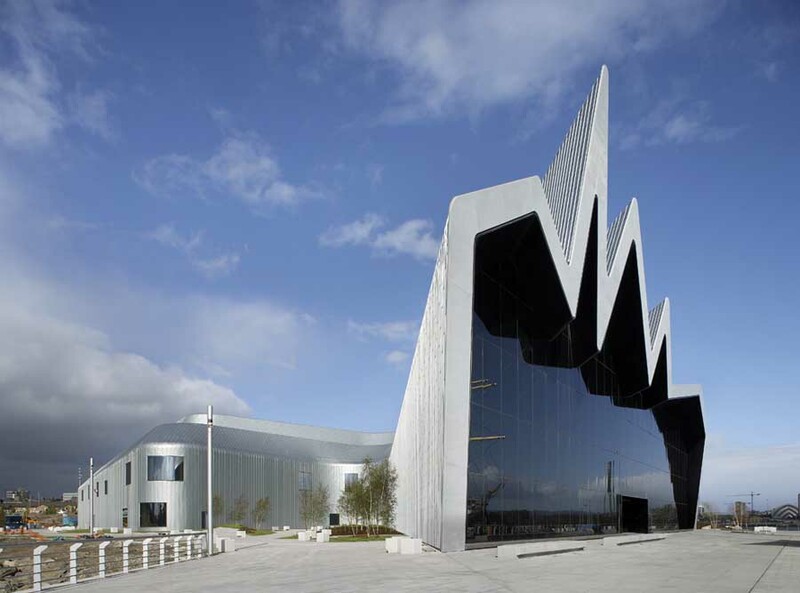 The development will create a high quality sustainable learning environment for the college – formed in 2010 through a merger of Central College Glasgow, Glasgow Metropolitan College and Glasgow College of Nautical Studies. On the Cathedral Street campus, the Allan Glen Building and the Business Learning Building will be demolished to make way for a new facility and the Riverside campus will undergo a complete demolition including that of the engineering and nautical buildings and halls of residence. The other shortlisted consortium is BAM PPP. Missing out on the final cut for the 25-year contract is the Laing O’Rourke–GP4L consortium. Initial design work was carried out by Atkins.